Acid Reflux syndrome is neither indigestion nor heartburn but closely mirrors both. Many people opine that this is one condition that keeps them away from enjoying the goodies of life... Be it chocolates, pizzas or a sumptuous meal. 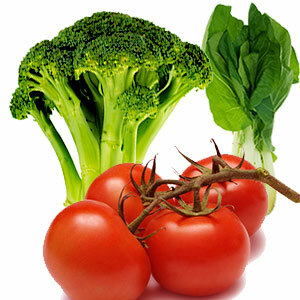 Tomatoes set the syndrome off, along with other spicy food and fats. Ice cream, baked goods and candies cause a negative reaction in those with acid reflux syndrome. There is a direct connection between the foods one consumes and the acid reflux. It is estimated that about fifteen million Americans suffer from chronic heartburn. According to the US department of Health and Human Services, seven million people suffer from severe acid reflux in the US alone. Bare facts indicate that in 2002 about 710,000 people were hospitalized due to acid reflux and other esophageal disorders and children aged 3 to 7 years are victims of acid reflux syndrome between 2 to 8% of the time. What is Acid Reflux Syndrome ? It is a disorder where the acid contents of the stomach flow or reflux into the esophagus. The stomach acid splashes up through the lower esophageal sphincter into the esophagus and throat. When the reflux acid hits the esophagus, it causes a burning sensation in the chest and the throat which is painful. Since the esophagus does not have a protective lining like the stomach, the acid from gastro esophageal reflux causes the lower part of the esophagus to be inflamed and painful. This condition is reflux esophagitis. Most people at some point of time experience heartburn. Bitter, sour or acid taste is noticed in the mouth. At times, partially digested food or liquids seem to be move from the stomach back toward the mouth. One of the most common symptoms of acid reflux syndrome is intense heartburn. Stomach problems, consistent cough and hoarseness in the throat, a roughened voice, sour and bitter taste in the mouth, problem in swallowing, painful burning sensation in the chest and throat, asthma and in some cases dental erosion are symptoms of this disorder. Factors causing acid reflux syndrome include eating sumptuous meal, lying down within two to three hours of eating, consuming drugs like diazepam, meperidine, theophyilline, morphine, prostaglandin, calcium channel blockers, nitrate heart medications and anticholinergic and adrenergic drugs. Under these conditions, the lower esophageal sphincter (LES) which is usually tightly closed, opens and food from the esophagus is allowed to pass on to the stomach. Eating greasy foods, chocolates and peppermint can also cause acid reflux. In addition, caffeine, alcohol and nicotine can also aggravate acid reflux. Pregnancy and obesity can increase abdominal pressure and increase the risk of acid reflux as well. Digestive disorders such as peptic ulcers, insufficient digestive enzymes in the stomach can also cause stomach acid to build up and back up into the esophagus. X rays on the patient after consuming barium solution, esophagascopy, tissue biopsy for evaluating Barett's syndrome, esophageal manometry for measuring lower esophageal sphincter pressure and Bernstein test for measurement of acidity in the esophagus are some of the tests used by a gastroenterologist to diagnose a patient with suspected acid reflux syndrome. If left untreated for long, the syndrome could become more severe and life threatening like Barett's Esophagus which is construed as a precursor to esophageal cancer. The main goal of treatment for acid reflux is the relief of symptoms and prevention of relapses. For mild cases, a doctor may prescribe antacids which could be taken after meals and at bedtime. It is recommended to keep the head raised while in bed and keep acid flowing away from the esophagus while one sleeps. Avoidance of fatty foods and drinks such as coffee and alcohol which can aggravate the condition is advised. Drugs such as histamine receptor blockers help to reduce the stomach acids. Proton pump inhibitors are also effective on some people to inhibit acid production. Normally a narrowed esophagus is treated with drug therapy and dilation. Surgical intervention is recommended only if the symptoms do not respond to other treatments. It is observed that less than 25% people with acid reflux syndrome require surgery. This is a minimally invasive 'reflux' procedure and specialists use pencil-thin cameras to see the details inside the body. Tiny instruments through small incisions are inserted and surgery performed to correct the disorder. An effective new esophageal 'valve' is created by wrapping the stomach around the esophagus. This surgery is called 'Laparoscopic Nissen Fundoplication'. Patients who undergo this surgery report immediate relief from painful heartburn, regurgitation, hoarseness, chronic coughing and swallowing difficulties. If left untreated, this syndrome can lead to severe complications such as erosive esophagitis, esophageal stricture, ulceration or Barett's esophagus. It may also eventually lead to esophageal cancer. 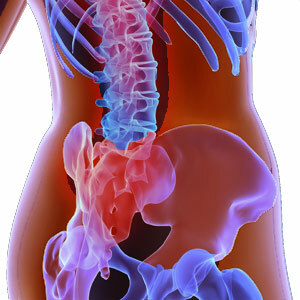 Esophageal cancer is the fastest growing and over 4,000 people develop this because of the acid reflux in their bodies. A healthy diet, regular exercise and avoidance of alcohol and smoking can help prevent gastro-esophageal reflux. Avoid certain foods such as chocolates, onions, spicy foods, peppermints and acidic beverages such as fruit juices, coffee, tea and carbonated beverages. It is advised to consume carminatives such as chamomile, fennel, ginger and sage which can help soothe stomach muscles and increase secretions of digestive juices and promote bile flow. Herbs such as aloe vera, marshmallow and slippery elm are all traditionally used to combat and soothe irritation associated with heartburn. Digestive enzymes can also be consumed to help break down foods in the stomach and improve digestion. A large meal increases the pressure on the stomach and induces acid reflux. Therefore it is advised to eat smaller and frequent meals instead of one or two large meals daily. Remaining upright for at least three hours after meals, avoiding stress before and after eating can help prevent acid reflux. At night, it is recommended to elevate the head 4 to 6 inches of the bed. Wear clothes that fit loosely around the stomach which can in turn prevent acids from refluxing. If overweight, a diet and an exercise program should help shed a few pounds. If under medication for peptic ulcer, it is better to discuss the concerns with the doctor who can help to rule out the cause of acid reflux. Above all, it is essential to reduce the stress level. Singing, dancing, meditation and yoga can help the body relax and thus reduce the pressure buildup in the stomach. First Published Date: 13 Aug 2008 Last modified Date: April 18 2019 This page may have been updated recently as new information is available or the content may have been edited for better readability.